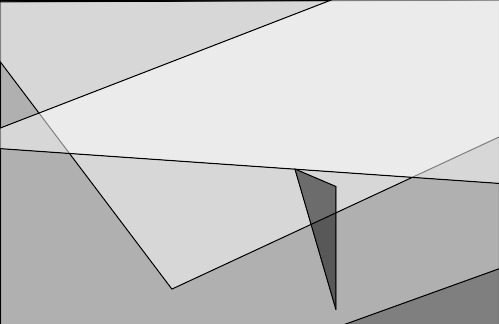 Fort Bragg is a city on the coast of Mendocino County, California. It's just north of San Francisco along the Pacific Coast Highway, which runs from San Diego all the way up the coast of California. In 1906, there was a huge 7.8 earthquake in San Francisco known as The Great San Francisco Earthquake. Most of the Bay Area was devastated, including the center of town in Fort Bragg. The earthquake resulted in a fire that threatened the local saw mill and the city. All brick buildings were damaged and only two were not destroyed completely. Several of the frame houses were knocked off their piers. The fire downtown burned the entire block bordered by Franklin, Redwood and McPherson Streets. Within 12 months following the earthquake, most of the downtown reconstruction was completed. 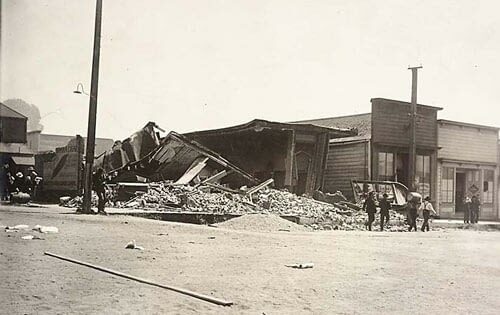 The earthquake actually brought prosperity to Fort Bragg as the mills the provided lumber to rebuild San Francisco, and the lumber ships returning from San Francisco were ballasted with bricks that they used for rebuilding Fort Bragg. By 1916 Fort Bragg had become a popular place to visit and to live in. With more people living in Fort Bragg came more trash. 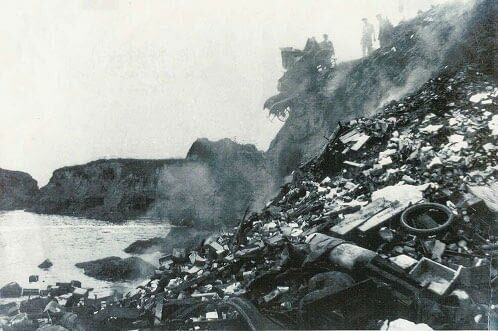 In the early 20th century Fort Bragg residents, like most other coastal towns, threw their household garbage over cliffs and into the ocean. They casually discarded glass, appliances, and even whole cars without a second thought for the environment. 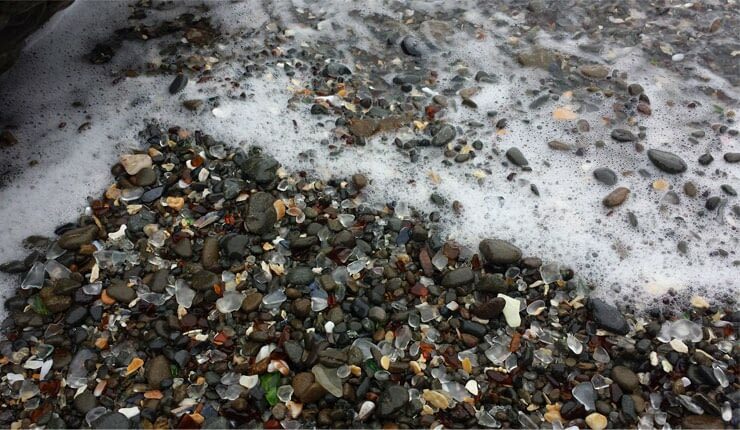 What no one realized was that they were creating the most incredible Glass Beach for future generations to enjoy! Anything and everything was dumped into the ocean. For more than 30 years, the pounding waves washed the trash up and down until the discarded glass became small, smooth, colored pieces of sea glass that cover the beaches today. Apparently, the ocean was not carrying anything out to sea. The rock formations set a up wave patterns that kept everything on the beach, even in the worst of storms. 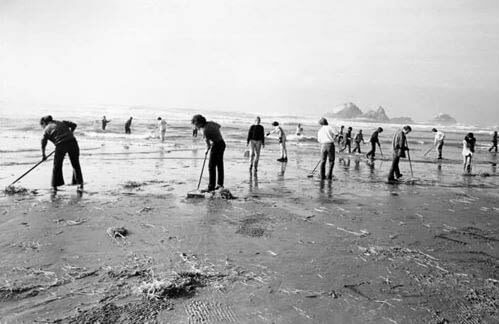 As the beach began to fill up with debris, the towns people began to burn and finally had to keep moving the dump sites. 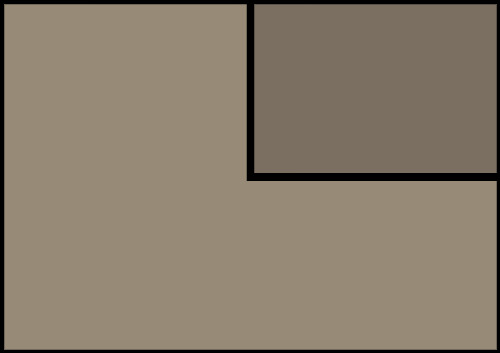 The majority of glass pieces are clear, brown and green. Occasionally, you'll find pieces of sea pottery and rarer colors of glass, even "fire glass" from that burning debris. At that time, the land was owned by the Union Lumber Company and locals called it "The Dumps". There were three sites that were used to dump everything from building rubble, bricks, lumber and cars to broken china, milk glass, table ware, food containers and empty medicine bottles. The first, or original, site was used from 1906 until 1943. Nowadays, this site is a little more difficult to get to and is not part of the MacKerricher State Park. We have been told by the locals that the easiest way to visit this beach is by kayak, but you can also get there on foot during very low tide. 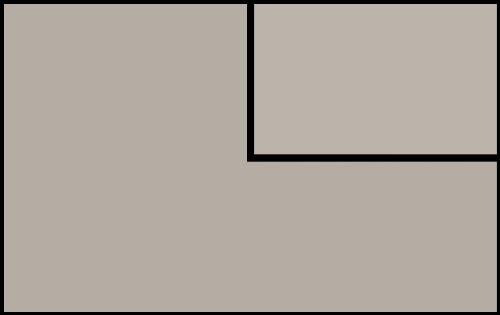 The middle site was active from 1943 to 1949. My fiancé took me to this site during a pretty good storm in the winter of 2015 and it was an incredible sight to see. It was loaded with an amazing amount of smooth, surf-tumbled sea glass gems. This site is the easiest to get to and has a long stair case down to the beach. The third site is part of the MacKerricher State Park. It was an active dump site from 1949-1967. This site is accessible on foot but there is some degree of difficulty. There doesn't seem to be much sea glass, reportedly due to people removing it by the bucket load for several years. 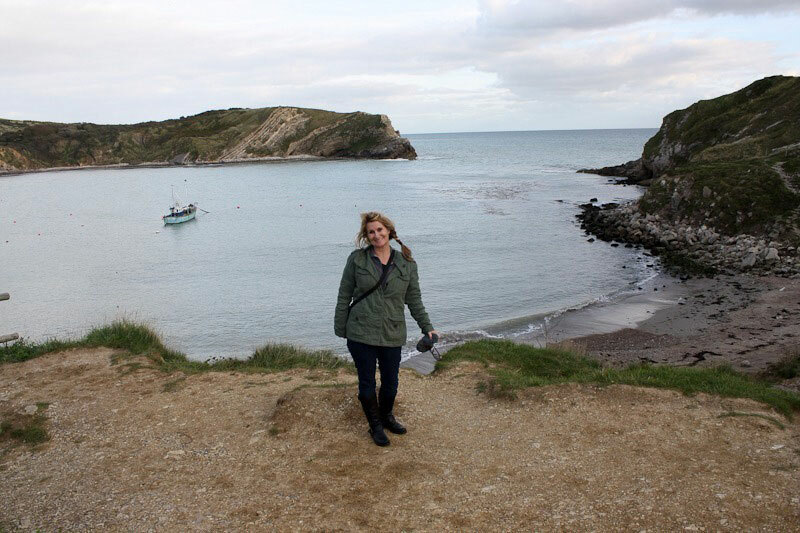 It's still a beautiful beach with several coves and tide pools. 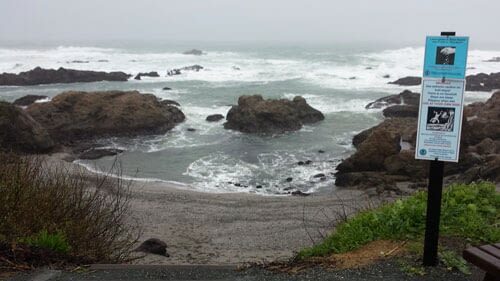 Although Fort Bragg residents in the past were more than happy to dump their trash into the ocean, nowadays we have become much more conscious of the need to protect our natural environment. 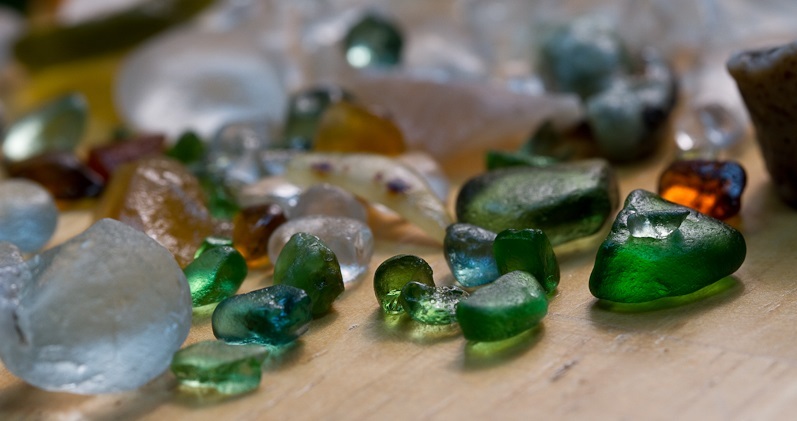 In the late 1990's, Glass Beach underwent a thorough clean-up. 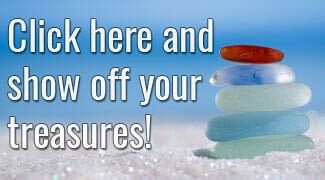 Thankfully for us, the glass from bottles, tail lights, windows and other items continued to tumble in the surf until they became sea glass and ended up on the beach. There may not have been much sea glass at site three, but it has a special place in my heart. As I was busy searching for sea glass, my boyfriend (now fiancé) excitedly called out to me. As I turned around to see what he had found, he was on bended knee with a little blue box in his hand. I opened the box to find a gorgeous aqua sea glass engagement ring! 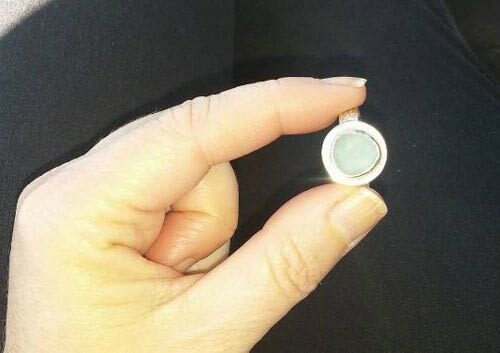 He had found the sea glass in Seaham, United Kingdom and had it set into a ring by Gavin of Seaham Waves. I was completely taken by surprise! By the way guys, I highly recommend Glass Beach, Fort Bragg for a proposal and/or a honeymoon. It's just that beautiful. I live in Near Seaham and I bought my sons girlfriend a necklace from Gavin. She lives in California! So there are two of you with a piece of sea glass from our lovely seaside town.